Helping online publishers and content brands engage audiences and grow subscription revenues. 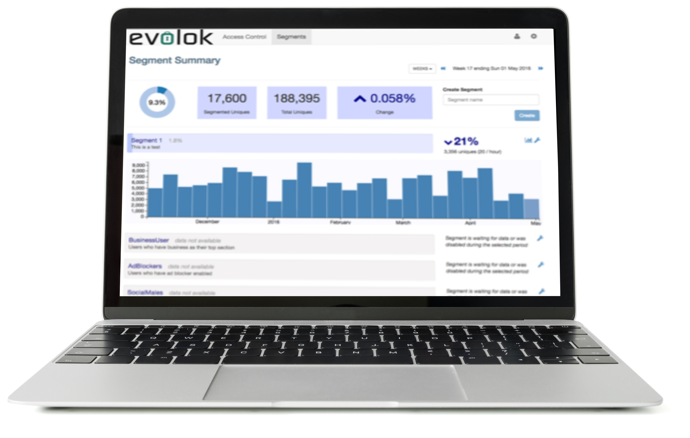 Evolok is the total, modular solution for sophisticated digital subscriptions. Tailored to meet your unique needs, the Evolok platform lets you create incredible experiences for your users and unlock your content’s true revenue potential. Create seamless registration and sign-in processes, including social and single sign-on, to better know your audience and develop new insights. Mix and match datawall and a dynamic paywall strategy to embrace the potential of your premium content, without harming the customer experience. Collect rich audience insights and segment in real-time to target the right content and offers, to the right people at the right time. Deploy paywall and membership models, enhanced with segmentation and identity insights, to maximise conversions and revenue.